​The DRIVECAST Demonstration Event was held at the Green Asphalt facility in Long Island City. 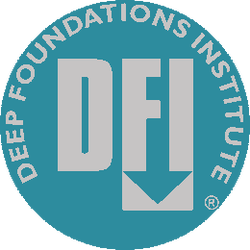 Deep foundation professionals from the Tri-State area converged on Queens to learn all about the DRIVECAST high capacity screw displacement pile. Presentations from the inventor, the manufacturer and a live installation made up the day. Siting recent testing results and “real world” applications, Phil Brackett of CHANCE Civil Construction (the makers of CHANCE helical piles) engaged the attendees with the origin story of DRIVECAST. Explaining how the City of New York needed a nondisruptive, high capacity pile for a new sewer line in a residential area in Queens. Then it was the inventors turn. Matt Conte of Conte Cos. presented in-depth information concerning the differences between DRIVECAST and other high capacity pile types. The audience was especially interested in how low impact DRIVCAST installations are to the job sites and surrounding areas. As expected, the cost savings possibilites was important to the group as well. The Q&A was high spriirted as many in attendance had question and comments. Next was the live installation just outside. CAC of NY was on hand to perform the DRIVECAST installation. Matt Conte took the group through the installation process. He explained in real-time how DRIVECAST advanced, creating its load bearing grout column from the reservoir above. The installation was successful. The attendees got all remaining questions answered. They appreciated the combination of "class room" and live demonstration. It was a satisify event. Everyone left with a working understanding of why DRIVECAST is considered truly different than any other high capacity piling system. 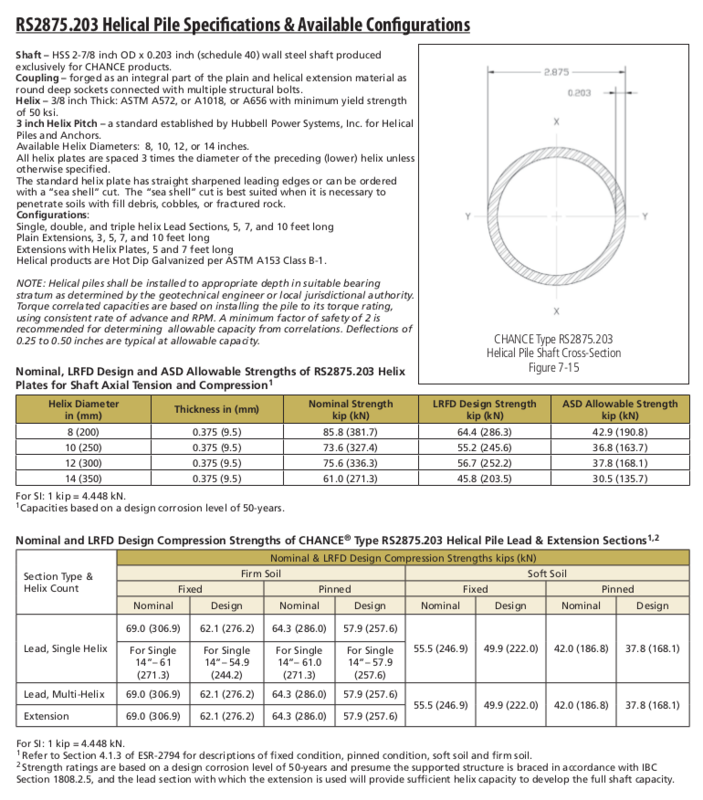 The round shaft helical pile has been revised to include a new coupling system that gives the pile a 27% increase in capacity to a torque rating of 7000 ft/lbs, 63 kips ultimate. Earth Anchoring Suppliers worked with Augustus Construction to help create access to one of the most beautiful locations on the east coast. CHANCE round and square shaft helical piles were used to secure two massive ocean-side staircases in the huge sand dunes overlooking the Atlantic in Truro near the tip of Cape Cod. 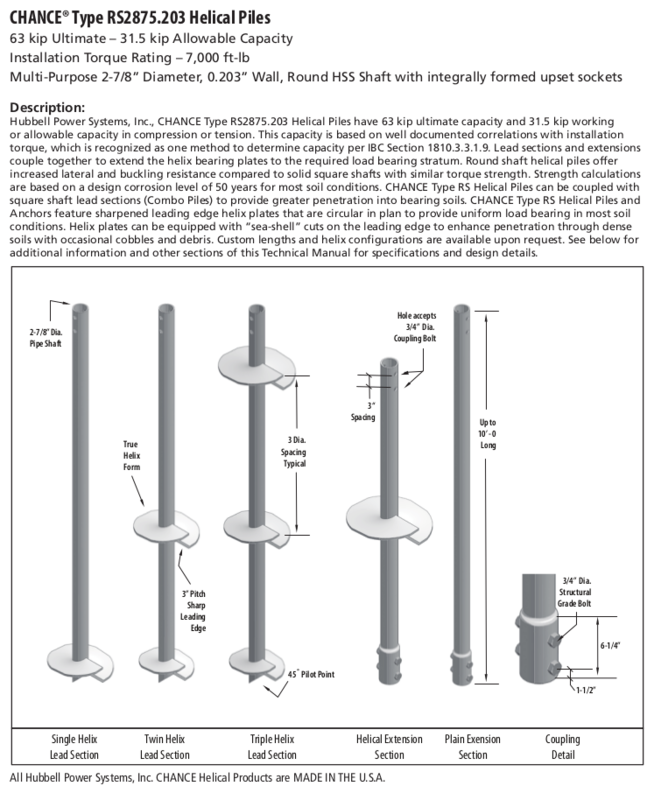 2-7/8” .203 wall round shaft helical pile were used to secure the them to the steep dunes. 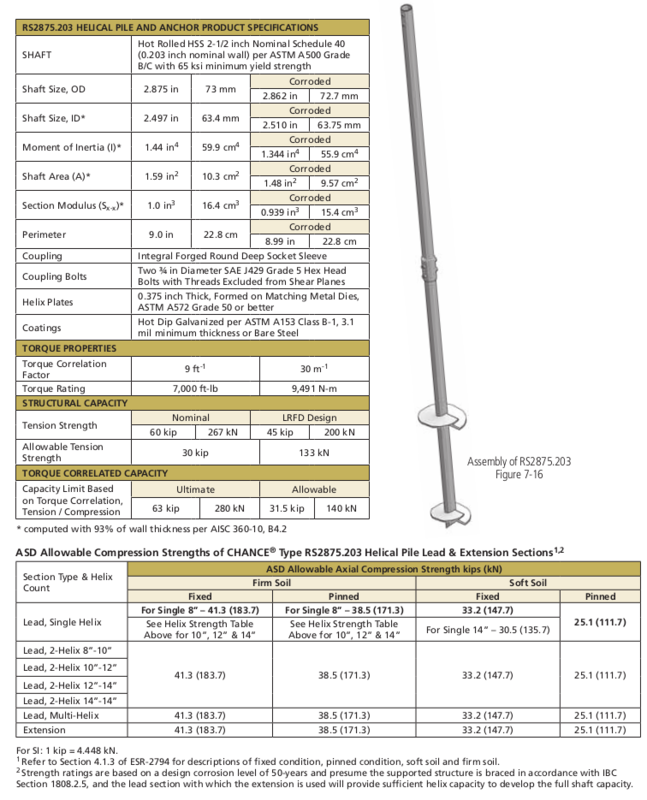 The battered piles were CHANCE SS5 square shaft helical piles. ​Structural, civil and geotechnical engineers and deep foundation contractors from all over New England traveled to Maynard Massachusetts for the EAS Deep Foundation Demo Day. With a combination of presentations and live demonstrations, Earth Anchoring Suppliers along with CHANCE Civil Construction (helical piles) and Conte Cos. kept the audience engaged and entertained. 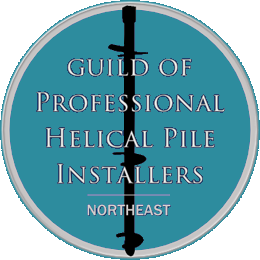 Located on the grounds of the secluded Maynard Rod & Gun Club, for the forty-plus in attendance the day started with a comprehensive presentation from Phil Brackett of Hubbell Power Systems (CHANCE Helical Piles) and Alex Raposo of EAS. Their focus was deep foundations and helical piles: applications, design, installation and the latest innovations. A highlight of the morning session was engineer Matt Conte’s detailed review of his invention, the DRIVECAST high capacity screw displacement pile (manufactured by CHANCE). DRIVECAST’s high capacity and low impact installation piqued the interest of the engineers. The Q&A was energetic. Many of the questions were best answered by Matt and team during the live demonstrations later that morning. A DRIVECAST displacement pile had been installed a week before the event. It was excavated to reveal to solid grout column created by the patented design. Both the engineers and contractors showed great interest in the low impact method of installation of this high capacity pile. At the conclusion of the various demonstrations, the team fielded many questions one-on-one as many attendees had specific and in-depth questions. In the end, everyone enjoyed the interactive and "real world" information and approach.